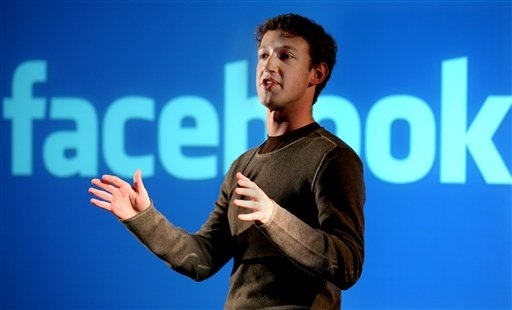 Facebook CEO: private or public, It makes NO difference to us and advertising. Erm, what? He explains that, public or private, it makes no difference to the business whatsoever and certainly doesn’t increase the amount of money earned from advertising. He also says, “We don’t sell your information, and we have no plans to ever.” Now if I was baffled before, I’m even more so now. Surely they are selling our information to advertisers although the advertisers should not be able to pinpointed exactly who (by name) that information came from right? Although it has and has been . What reason does Zuckerberg give for coercing users to make the information they share public? His response is “our goal simply to make sure that you have control so you can share stuff in the way that you want.” How that relates to sharing publicly by default is beyond me. Before I ask you, our readers, what other possibilities there are for Facebook wanting to make our information public, here’s my take on it. I still firmly believe this is completely advertising based. The more we share publicly the more of these crazy community pages are created for absolutely everything we mention in our profiles and status updates…and therefore of course, the more lucrative the advertising gets for those specific topics. Also, the more we share publicly, the more information appears on Facebook’s search engine (and other search engines) and as we all know, where there’s successful search, there’s advertising. In the upcoming privacy changes, we can disable the sharing of the information, although by default it’s set to be made public. Anyhow, let’s say I’m wrong and what Zuckerberg says is true…this has nothing to do with advertising. What other reason (aside from mimicking twitter’s viral like features) is there for Zuckerberg to want to ruin what people were perfectly happy with at one point – just sharing with friends and family – and attempting to get them to make their information public? We’d love to hear your thoughts. Here’s what a few people on twitter said when I put the question out. Read next: Google's CloudCourse is an open source alternative for educational scheduling.